Carrollton, TX Top Rated Carpet & Hardwood Floor Installation | D&R Floors and Home Solutions Inc.
Carrollton	Overall rating:	5	out of 5 based on 2	reviews. A beautiful new floor awaits you. D&R Floors and Home Solutions Inc. proudly offers Carrollton carpet and hardwood floor installation. D&R Floors and Home Solutions Inc. offers a huge variety of top designer, high-quality ceramic tile, carpet and hardwood floor options. D&R Floors and Home Solutions Inc. is committed to providing the best quality service, installation, and products for our clients, at the most affordable prices in DFW. D&R Floors and Home Solutions Inc. provides carpet flooring installation options for nearly every purpose, decorating style, and budget. We offer personal attention catering to all the needs and expectations of our Carrollton clients. We will consult with you to understand your specific needs, measure the area, and give you an accurate quote. We offer unmatched, quality installation in Carrollton, TX at a reasonable price. We also offer a wide variety of repair work. After being professionally installed, engineered hardwood floors cannot be distinguished from solid plank flooring very easily. It would take a highly trained eye to tell the difference, and even then it can be a difficult task. Though both types of wood offer the same natural wood feel and appearance to your home’s flooring, they are completely different materials. Engineered hardwood flooring behaves just a little different from plank flooring. It is easier to install and less expensive overall. Engineered wood floors were developed for the first floor of a home, which was usually built on concrete slabs. In the past two decades, though, the flooring has evolved and adapted, and it can now be installed in any room or on any floor. Overall, engineered hardwood floors are more resistant to moisture and are far more stable than plank flooring. No wood can tolerate water for long periods of time, but the increased protection against moisture levels makes it ideal for most homes. Numerous factors make a huge difference in the cost of installing hardwood floors in your home. To begin with, the size of the home and the shape of each room will matter significantly. On average, you can expect to pay around $7 per square foot. Now, this price only includes the materials themselves. You will need to multiply the square footage of your home by the cost per square foot for the hardwood flooring material to reach the material cost. Regarding labor, a job like this will most likely require two or three professional flooring contractors to handle. These individuals may need to pull up your carpeting or old flooring, which will add to the total cost of the hardwood floor installation. You can call for a quote to receive a clear picture of the exact cost and what goes into installing hardwood flooring throughout each room of your house. Solid hardwood floors are known for their rich appearance, which will add value to your home and look aesthetically pleasing. 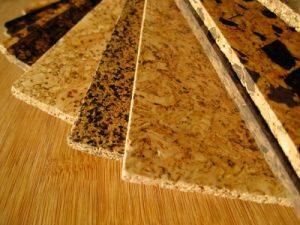 The majority of homeowners choose to install this type of flooring within their living room, kitchen, or dining room, though some opt for covering their entire home in the material for continuity purposes. No matter what room you intend to install hardwood flooring in, we’d be more than happy to help you with the entire process. Our home improvement professionals will give you a quote, investigate each room you’d like hardwood in, and begin the job in no time at all. Whether you are simply installing hardwood flooring as a way to replace an ugly old floor material or as a way to repair a broken down floor, hardwood is a wonderful option that looks wonderful when you first step inside the house. Quite a few different types of hardwood flooring materials can be used to improve your home’s appearance and value. Wood floors can enhance an entire room both practically and aesthetically. The options you can choose from include unfinished wood flooring, factory-finished wood flooring, solid wood flooring, and engineered wood flooring. Engineered is currently one of the most popular types of hardwood flooring for its durability, relatively cheap price per square foot, and overall appearance. Our flooring company can help you select the best option for your needs and desires if you wish. Each type of floor will have to be cared for carefully, though. With wood flooring, it is important to use a wood finish that helps protect the floor itself from everyday wear and tear, including mud, dirt, dust and roughhousing from the kids on the weekend. At D&R Flooring Solutions, we provide professional hardwood floor refinishing for residential and commercial clients. Over time, despite your best intentions, your hardwood flooring will take a beating. The refinishing process can brighten your flooring and make it like new. We put immense attention and consideration into the job. We know hardwood flooring is an investment, and one to be proud of. That’s why we go above and beyond. First, we sand the floor to remove any scuff marks and smooth the surface. Then, we stain the wood any color of your choosing. This is the point when you may get creative and personal. Lastly, once the stain is applied and ready, we use refinishers to polish the floor with a top coat, which helps protect against future damage. Solid paste wax is a viable option to apply to hardwood flooring within your home. It is an old-fashioned wax that requires administering the substance by hand, however. When applied, paste wax has been known to make floors shine. To apply, simply use an old T-shirt or a cotton cloth that has been dried completely. Apply just a bit of wax evenly across the surface of your floors, working it into the top using the cloth or shirt. If you would prefer a softer wax for your hardwood flooring, select a liquid equivalent of paste wax. Finally, while drying, the flooring will appear somewhat cloudy. You can use a clean towel to buff this cloud-like appearance out completely. If you have access to one, an electric floor polisher works wonders when it comes to this task. Alternatively, a sponge-mop covered in cloth will do the trick. Can we install hardwood flooring on radiant heat? While some contractors may turn and flee when they discover a homeowner would like hardwood flooring over their radiant heating system, we like to act like professionals and get the job done for our customers. Yes, it is entirely possible to install hardwood flooring on top of radiant heat. The job can be complicated at times, but with the correct experience and knowledge, it can be accomplished. Moisture testing will be one of the most important factors in completing the job. Radiant heating has a tendency to cause some moisture under the flooring, which could potentially ruin the hardwood floor material if the correct tests were not completed beforehand. A professional company can control the different variables that may turn such a job into a complete loss. Once the job is done, you will notice the warmth coming from up underneath the flooring and still have an aesthetically pleasing material to walk on with your bare feet. When ordering hardwood, how much extra should I order to allow for waste or damage during installation? Many who install hardwood flooring – either as a profession or as a hobby – tend to purchase a little bit extra material when performing a job. They do this in case something goes wrong while laying the floor the first time. The extra material will enable you to quickly make adjustments or replace broken hardwood efficiently without having to wait too long for a replacement to arrive. For the most part, many recommend ordering at least 10% extra, though some believe that is too much. Overall, it would be best to order enough high-quality material for the actual job, then round up to the nearest full box of hardwood to ensure you have extra and perhaps a little left over. If you hire a professional to install your hardwood flooring, the chance of needing any extra material will be minimized as much as possible. Ultimately, the decision of how much extra to pay for is up to you. We take pride in every job. We offer an extensive range of ceramic, marble, granite, slate, stone and porcelain-based tile flooring. Our company can bring the complete showroom to your doorstep while providing you with timely, personal attention from start to finish. Tile flooring is available in an infinite number of colors, sizes, shapes and finishes, so there is no limit to the beautiful, personalized designs to create. We can help you select a look that is tailored to your needs. We offer basic and custom tile floors for your home or office. D&R Floors carries the top manufacturer products. We’re ready to help you today. At D&R Floors and Home Solutions Inc., we understand your time is valuable and that your flooring is an investment. We will work around your schedule and even bring the showroom directly to you. D&R Floors and Home Solutions Inc. is fully bonded and insured. We have been members of the Better Business Bureau since 2004 and serving DFW since 1992. Contact us today for your FREE estimate at 972-625-4100, and we’ll bring the showroom to you! Turn right onto Witt Dr, Turn left onto Elm St, D&R Floors will be on the right.